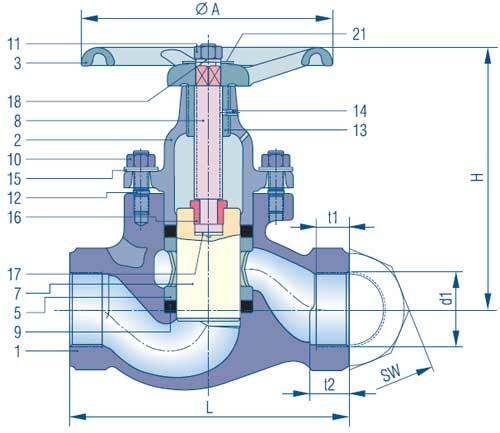 Designed as straight through piston vlave, sealed-off by 2 flexible valve rings – body made of cast iron, cast steel or stainless steel. Handwheel made of grey cast iron, piston made of special Niro-steel. Overall length to DIN 3202-M9, bushes with pipe threads to ISO 228-1, bushes with NPT threads to ANSI B2.1. Type: KVMN VIII KX for DN 1/2" –2"